Our years of experience, engineering and design assure products of the highest quality. We Do it All! We offer a wide selection of products including signs, self-inking stamps, corporate and security seals, steel stamps, metal tags, stencils and more. Metal FX Signs & Metals Ltd.
Sign-Tech Media Inc. is a respected leader in the commercial graphic industry with design, manufacture, and installation of custom graphics & signs. 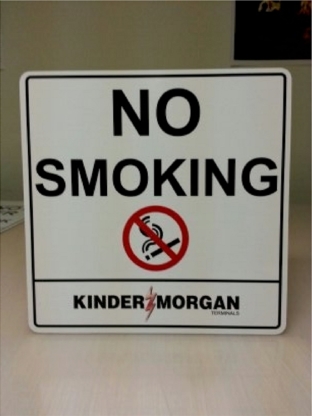 Custom In-House Sign Manufacturing. Directories & Plaques, Exhibits, Displays, Donor Walls, 3D Logos, P.O.P & Trade Show Signage and all the usual signs too!